Piano Solo. Composed by Isaac Albeniz (1860-1909). Edited by Norbert Gertsch. Sheet music. 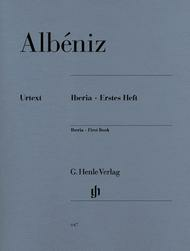 Henle Music Folios. Pages: VII and 44. Classical. Softcover. 52 pages. G. Henle #HN647. 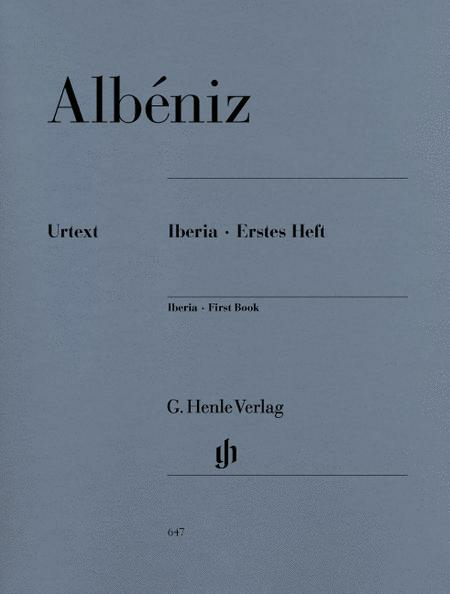 Published by G. Henle (HL.51480647). Spanish music with a universal touch: that is what Isaac Albeniz set out to compose, and he brought it off to perfection in his Iberia Suite. At last all four books of this late-romantic masterpiece will be issued in an Urtext edition worthy of the name, with top-quality appearance and engraving. Being manageable in their technique, Evocation, El Puerto, and Fete-Dieu a Seville -- the three pieces in volume 1 -- are especially popular. Enjoy these pieces in the same manner as Debussy, who wrote of Iberia: One closes one's eyes and is bedazzled by the sheer wealth of invention in this music!